Vaporesso Guardian cCELL 2ml is a 2 in 1 Atomizer, it supports both DTL and MTL. A CCELL SS 0.5ohm coil and an extra CCELL MTL 1.4ohm coil come with this atomizer. Vaporesso Guardian cCELL 2ml is a 2 in 1 Atomizer, it supports both DTL and MTL. It is easy to switch between 2 settings. It will not overfill ever, because of the top filling with coil remains inside the tank. Besides, double child locking mechanism makes your smoking safer. A CCELL SS 0.5ohm coil and an extra CCELL MTL 1.4ohm coil come with this atomizer, you can fill in e-liquid to enjoy smoking! • It doesn't come with e-juice, you need to buy separately. 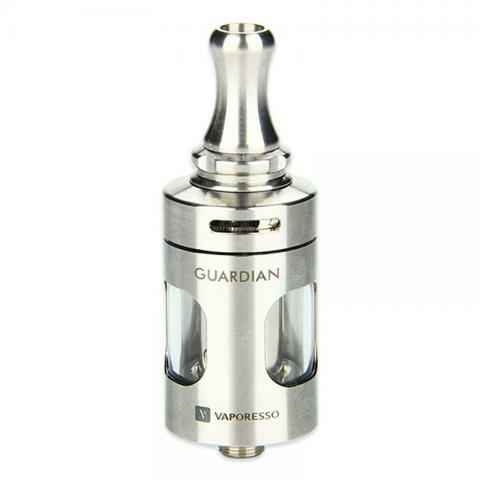 • It's the same tank as that in TARGET Mini TC Kit and Guardian One Express Kit. Ich bin mehr als zufrieden mit Vaporesso Guardian cCELL und empfehle es sehr gern weiter! Vaporesso Guardian cCELL Atomizer delivers unbeatable flavor. I’m really like it.